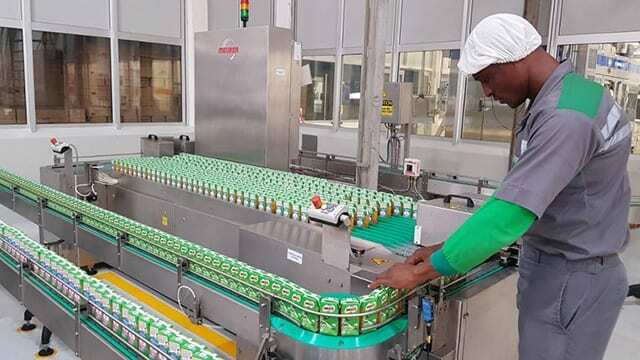 NIGERIA – Nestlé Nigeria has officially inaugurated its Milo Ready-To-Drink (RTD) beverage production plant in Ogun State to meet the growing consumer demand for the recently introduced drink. The new plant, which is part of the existing Agbara factory, will create an 100 additional jobs in the facility where Nestlé has invested 4.1 billion Naira (US$11.4 million). “This new plant is a reflection of the continued confidence the industry has in the robustness of our economy. We are grateful to Nestlé for these significant investments, particularly for locating its factories in rural communities and sourcing its raw materials from local farmers contributing to the sustainable development of Nigeria,” said the Vice President of the Federal Republic Nigeria, Professor Yemi Osinbajo, who inaugurated the plant. The new plant is equipped with the latest state of the art technology and adopts high safety and environmental standards, according to Nestlé. It produces Nestlé Milo Ready-To-Drink (RTD) beverage in 180ml cartons and has a yearly production capacity of 8,000 metric tonnes. Nestlé Milo Ready-To-Drink (RTD) beverage was launched in October 2017 as the company seeks to diversify its line of products in the country, where it also produces bottled water, breakfast cereals and powder beverages and savoury products. “The new Nestlé Milo RTD is complementing the existing range of offerings of our iconic Milo brand. It is conveniently packaged to offer the unique Milo taste and meet the nutrition needs of active children on the go,” said Mauricio Alarcon, Managing Director and CEO Nestlé Nigeria. Made from milk, malt and cocoa, the beverage provides essential nutrients and is fortified with a blend of vitamins dubbed ACTIV-GO (vitamins B3, B2, B6, B12, vitamin C, and vitamin D) and minerals including calcium and iron. Nestlé, present in Nigeria since 1961, has 3 manufacturing sites, 8 branch offices and a head office located in the country’s capital, Lagos. The country produces a range of brands including in the country, including Maggi, Milo, Golden Morn, Nescafé and Nestlé Pure Life.